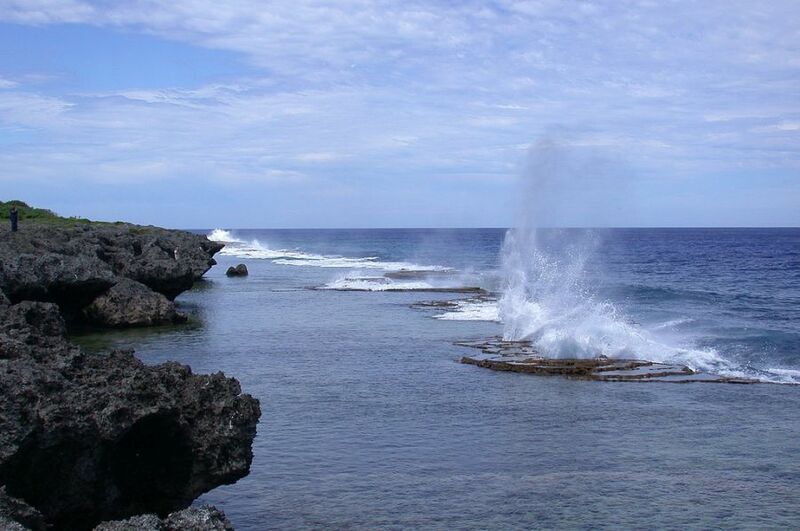 W5MJ, VA7DX, ZS6RJ, VE7KW, K5DU, K5NA, W5PF, W5RF will be active from Tongatapu Island (IOTA OC-049) 18 - 24 February 2016 as A35T. Final Log uploaded LOTW, Club Log. OQRS open. Winds are gusting to 40 knots. We did get verticals up for 40 and 30 yesterday, and will attempt to get the verticals up for 80 and 160 verticals tonight but no promises because of the extreme winds. I worked 40 m for about three hours starting at midnight Eastern, called CQ NA with very little response, perhaps because it was the middle of the night in North America. We anticipate having our stations on 160 - 30 MHz during night hours, and the hex beams for 20 - 6 meters during daylight hours. We hope to be able to provide Qs on 160 to EU to fill the great need for that band. Our operation is scheduled for 18 - 28 February, not the 24th as previously reported. Even though K5NA and K5DU will be tending to a family emergency and not able to make the trip, we hope to have guest op Hiro A31MM, who recently moved to Tonga, joining us during our stay. Tongatapu Island. Blowing holes. Author - Alessandro. Tongatapu Island. 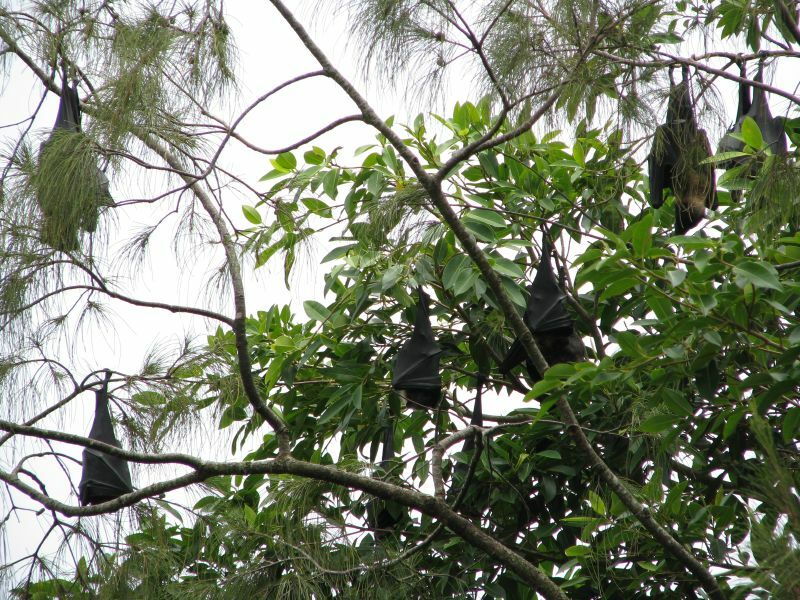 Flying foxes. Author - Shelley and David Hamel. 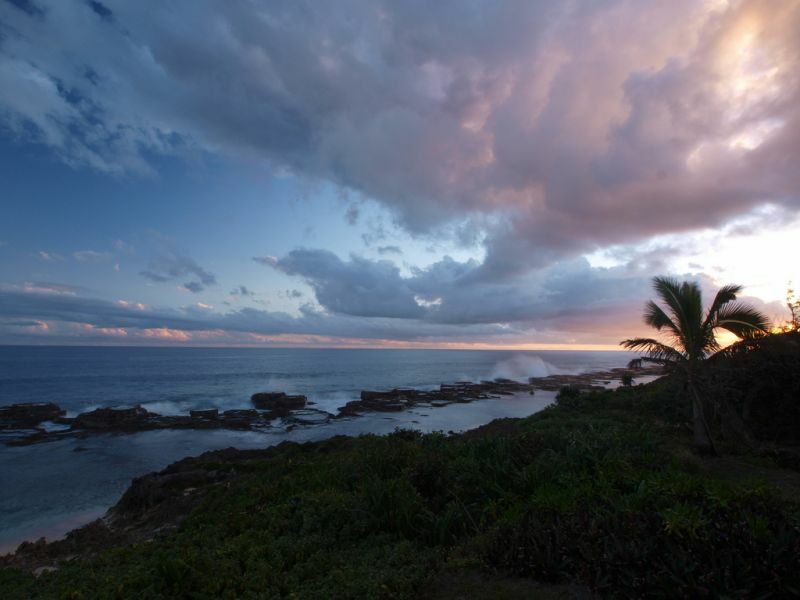 Tongatapu Island.Sunset at Keleti Resort. Author - Edgar Vonk.